Allow me to veer off temporarily from food and share with you my experience at Karada. Being a work-at-home-mom may seem like an easy job for those who haven't experienced being one, but the fact is, juggling motherhood, being a wife, household chores, work, and a couple of businesses---not to mention blogging---is a daunting task. Managing all of it in the "comforts of your own home" does not necessarily take away the stress that comes with each facet of a mom's life. Many times, I would ignore body pain and just leave it to prayers, not having time for regular medical check-ups, nor time for indulging in spas, parlors, cafes and other places that would guarantee a satisfying (and much needed) "me-time". It took a lot of years and endless prodding from my own mom ("If you don't take care of yourself, and you get sick, who then would take care of your kids?!") to have me realize that indeed, these once-in-a-while breaks are good for me and my family. The occasional guilt trips (e.g., thinking that instead of spending money for a massage, I should just save it for my daughters' needs) still creep up on me, but I'm slowly learning to give importance to my well-being as well. 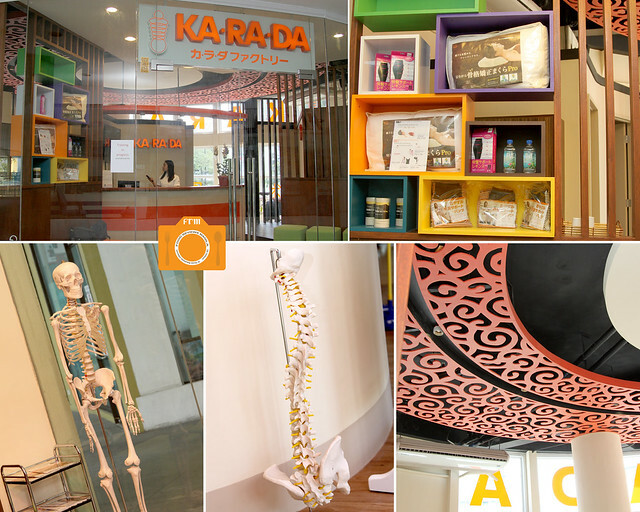 From the people behind The Bistro Group comes Karada (which means body or health), a Japanese body therapy that focuses on bone alignment and muscle treatment. It is a Seitai (body maintenance) salon, and not your usual spa or massage parlor. Honestly, I was initially hesitant to try it out when I heard about its focus on AP Balance or the aligning of the Atlas, which is the first cervical bone, and the Pelvis, which is the main base of the body. Letting someone else aside from a doctor realign my body was something I'm not comfortable with, until I learned that the staff of Karada are therapists and not your ordinary masseuse, who received training in this field. 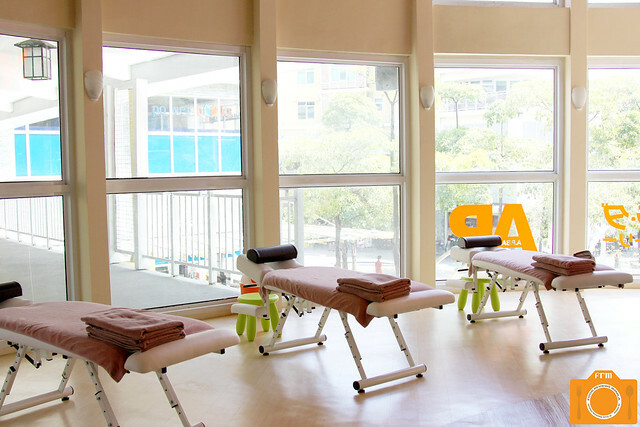 That somewhat appeased me, and I began to look forward to experiencing their claim of being the best place for people who suffer chronic shoulder and back pains, in other words, someone like me. 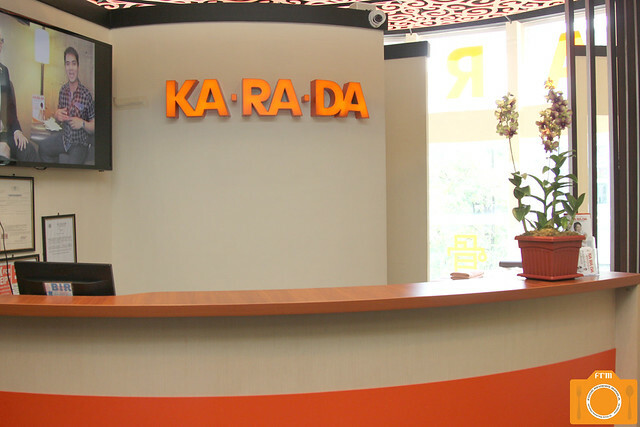 When you visit Karada, you'll be given a form wherein you'll be asked to write down your personal information and medical history, as well as problem areas in your body. Next, you'll be led to a changing room where you will don one of their matching black shirt and sweat pants, plus their soft bedroom slippers. Your things are then placed in an orange basket beneath your therapy bed. You'll also be given a cup of tepid water to drink before you start. Unlike your usual spa, the therapy area in Karada is well lighted, with plenty of sunlight streaming through the big picture windows spanning a large portion of the entire place's circumference. It's clean and spacious, and you immediately feel at ease despite having no dividers between beds. A special corner for clients who prefer a dimmer setting. This particular section has window blinds and a divider that separates it from the rest of the therapy area. 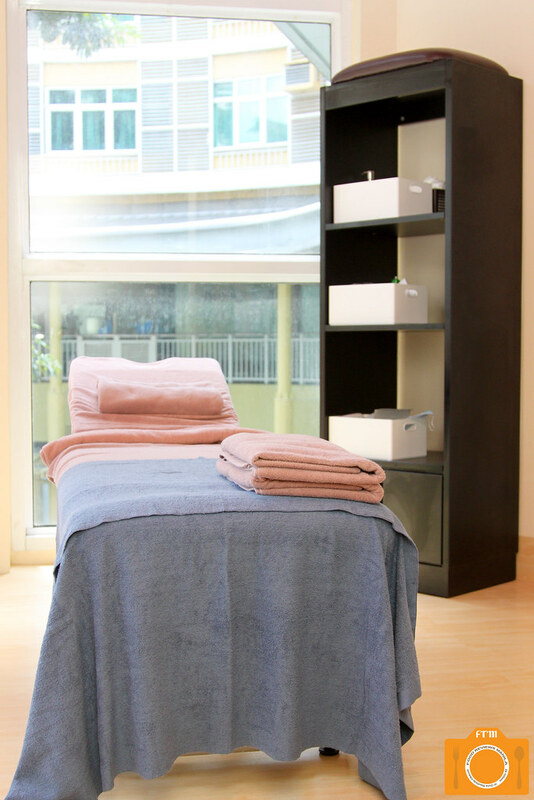 Before starting with the treatment, you'll have a one-on-one consultation with your therapist to identify your general body condition, problematic areas of your body, and your lifestyle habits. You'll then be assessed on your limitations in mobility, and if there are some discrepancies on the length of your legs. My right leg was found to be shorter than my left possibly due to my constant leg crossing throughout the day. Moreover, my right shoulder was lower than my left because that is where I always carry my heavy bags. I had the AP Balance treatment, the benefits of which include relieving body pain and preventing it from recurring, helping reduce stress, and improving hormonal balance. 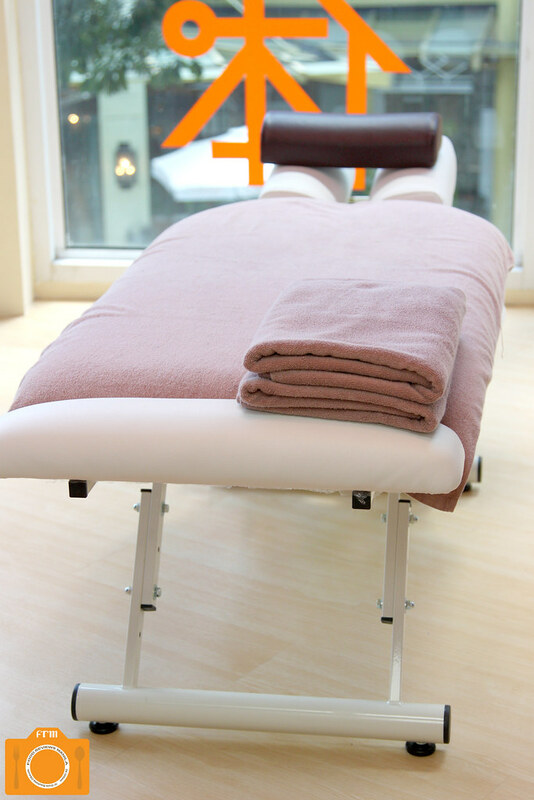 First comes the muscle treatment which addresses stiff muscles in the body. After they have loosed up, the spine and pelvis are adjusted to achieve good balance. When my therapist told me to clasp my hands at my back, and then forced down her weight on them, I almost fell. She then led me to the drop bed which helps in realigning your bones when manual stretching is not enough. The loud noise coming from each drop of the bed's different sections tends to scare, but actually you wouldn't feel a thing while you're lying on it. When we were done, my therapist asked me again to clasp my hands at my back, and this time, even with all her weight, I didn't lose my balance at all. Fascinating! I can also bend back my neck further down than before. After the sixty minute session, I felt lighter and more relaxed. A short discussion on the root cause of your body's problem based on the lifestyle information you've provided is the final stage. I was asked to avoid carrying heavy bags, or alternate it between the two shoulders to keep it balanced, if I must. Also, crossing legs is a no-no for me, and it will do me good to make a conscious effort of maintaining good posture when sitting in front of the computer. Aside from the AP Balance treatment, Karada also offers a Body Treatment which is a dry treatment of loosening up stiff muscles, kind of similar to Shiatsu, but uses body weight to give pressure instead of just force. Stretching techniques are also incorporated. There is also the Foot Treatment for people who want to detoxify their bodies and relieve exhaustion on the leg or foot area.